Immune to player card effects. Cannot be optionally engaged. 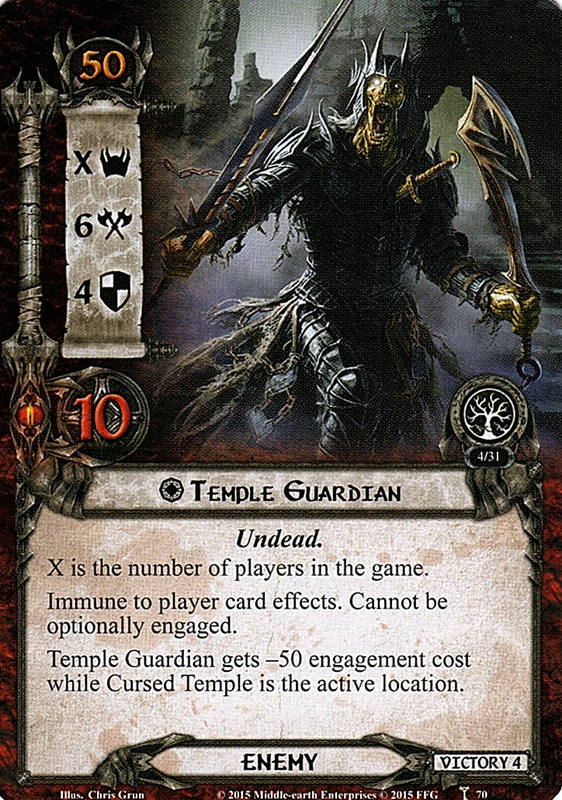 Temple Guardian gets -50 engagement cost while Cursed Temple is the active location.